Endless episodes of Charmed, currently on season 3. Enya. Can't get enough of her lately. She just seems to feel right no matter what. Blood Moon Botanica's Digestive tea. It was a part of an order I received and it cleared up some nausea I was suffering from recently. Britton is super talented. Barbara Kingsolver's Flight Behavior. I tried getting into it but the main character just fell flat for me. I think I am going to end up passing it on. It is a shame because normally I thoroughly enjoy her books. A few plans in September. 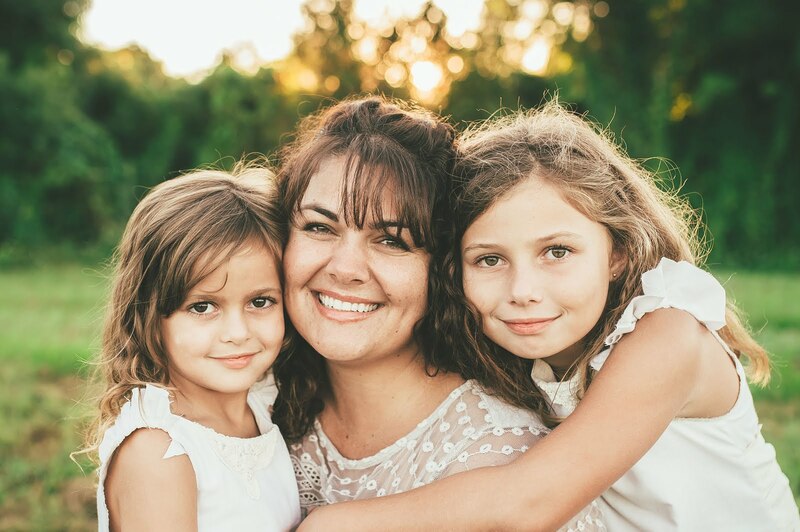 I am taking the girls to the Harry P. Leu gardens in Orlando for a fairy door event and my sister and I are going to try and take Savanna to MegaCon in Tampa. I think those will be fun. I am also looking forward to some rainy days, hopefully sans hurricane this year. Trying not to dread too much at the moment but I am seriously not looking forward to nighttime these days... the mosquitoes are horrendous. I went outside a couple days ago to peek at the full moon and got chased back inside in 10 seconds flat. August was a tough month. Battled some blues but slowly getting back my equilibrium. Starting back to school and changed routines and new responsibilities were hard to juggle but I am becoming acclimated again. The girls being extra helpful around the house, cleaning and cooking dinner once in a while voluntarily. Hearing Savanna practice guitar. Watching Scarlette climb to the top of the rope in gymnastics (seriously, that rope goes about 20 or 25 feet in the air!). 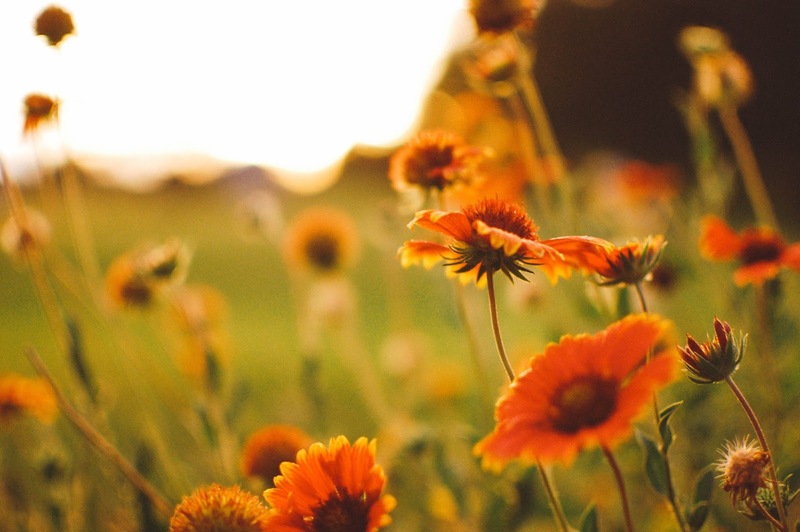 Picking from my small patch of wildflowers and bringing them inside to put in tiny vases. How has your August been? What are you looking forward to in September? So. Hey. How are you doing? I am really in a strange spot right now. For the first time in several years I am not anticipating getting up in the attic to get the fall decorations. September 1st, my normal decorating date, steadily approaches. I will do it. Certainly. But I am excited and that bums me out. Well, probably because I am a little bummed. I only have a week left of a course I am taking so that is nice. 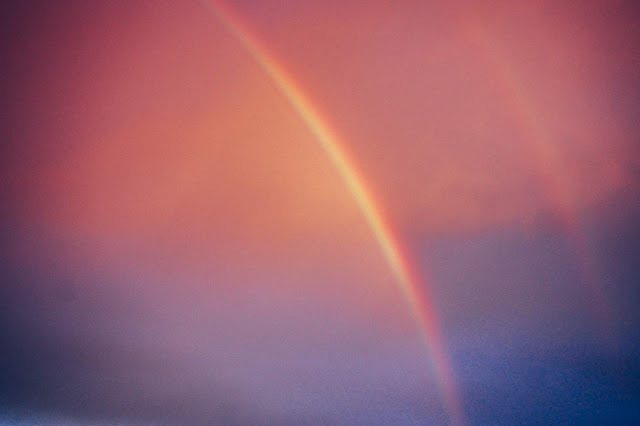 I went outside a few days ago and looked west to a beautiful sunset then turned east to see a double rainbow as the sun set and the twilight night rose up behind it. It was gorgeous. Hey. I forgot to tell you guys but Blogger had this awful glitch where I was no longer getting emails when someone commented so I had to log-in and check my comments tab and it was a pain. That has been fixed but now I see I am no longer a "secure" website so I will be tinkering with trying to get the https thing up and running. Comments and views have been super low anyway so I know it is not a big deal but I do want the few that read to be safe while doing so. How are you feeling? Did you get a chance to the full moon? Does my lack of secure webthingy bother you? The spiraling, sucking vortex of Facebook sent me into one of those cascading searches of perfume houses about a month ago. Someone asked for perfume house recommendations and HagRoot was mentioned. I popped over and immediately became interested in quite a few blends and the price point was very reasonable for sampling. I ended up bringing home a full bottle and a 1/2 dram sample. 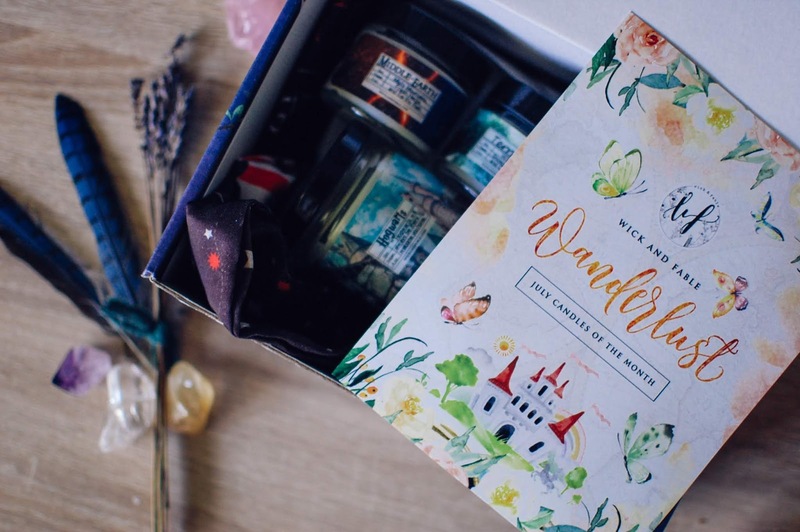 The perfumes are affordable and come shipped in thoughtful packaging. I rather do enjoy details like this in the treats I buy. 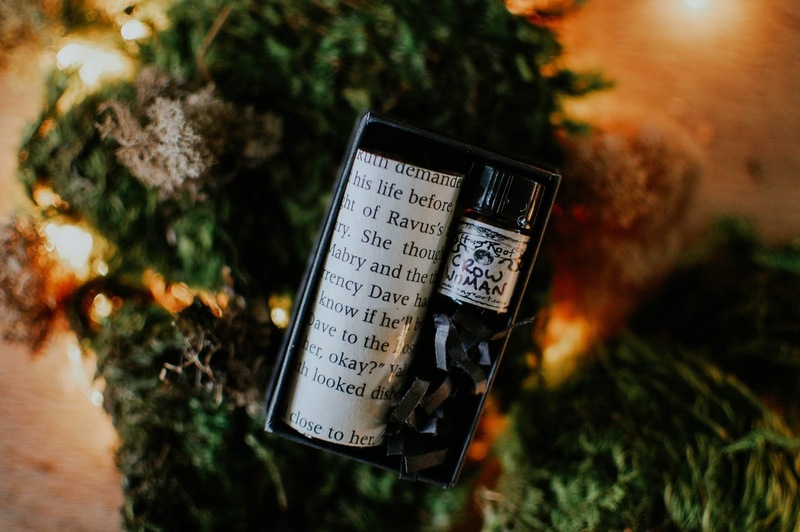 The perfumes arrived in a jewelry box, tied with twine and the full sized perfume was wrapped in a page from a book. 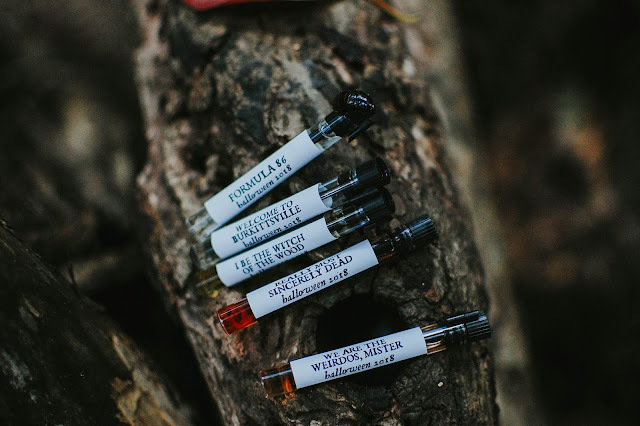 The labels are creative with handwritten scent names which is a nice touch as well. Sweet spruce sap and golden oakmoss that feels like a vintage chypre on the skin. Bare feet break the discarded bones of evergreen and the papery curls of birch bark, releasing their perfume like a ghost from captive flesh. Sticky sap and sticky juniper berry tears cling to the fingers that sought them out as they dwelled on bark and branch. This is the heart of the forest. Deeper into the gathering of trees the scent of incense, sweet wooden myrrh, meaders like a winding trail between the serene trunks. Who was here? Are they still? 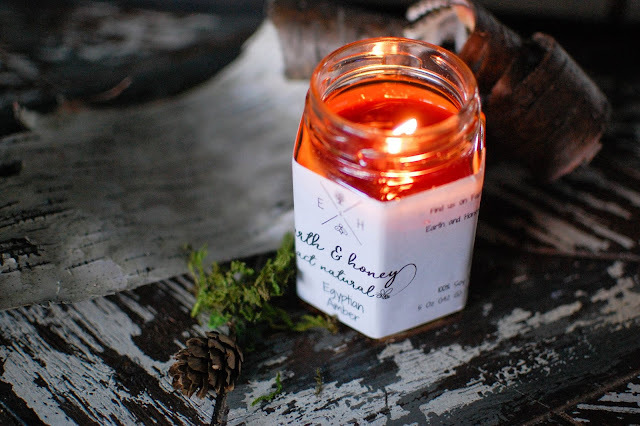 This scent is a simply beautiful rustic oakmoss and evergreen scent with a drydown on myrrh. The base of the scent has a papery tone that is light and nondescript after a few hours but I would probably reapply or apply a new scent after that. This collection of notes both mystified and intrigued me. How would they all mesh together? Which ones stand out? Let me tell you about this changeling. In the dram it smells of spiced cherry wood. Once on the skin a collection of note vie for attention, like chocolatey tobacco and floral spice. Old wooden cupboards brimming with a motley apothecary of goods. The musty corners send hay and earthen motes into the air. Sugar, cinnamon, clove line up in clouded glass jars ready to bring life and comfort to the taste buds. As each jar is uncapped their effluvia warms the senses. The cupboard's treasures are uncovered one by one and a strange black leather encased bottle is spied in the back. The embossed leather holds mysterious symbols in relief within its aged skin. 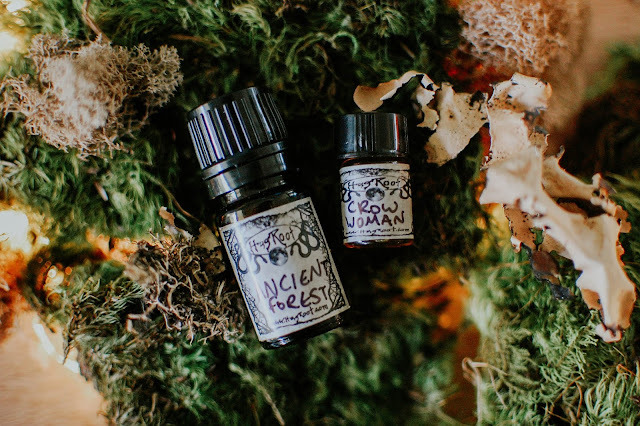 Crow Woman is a brilliant autumnal scent. It starts as a dark tobacco and earth then heats up with cinnamon. Slowly the leather pulls through. It is wildly multi-faceted, much like the feather of a crow that gleams with an oil slick of hues, shards of rainbow in a shadow of black. Again, I get that same papery scent in the final dry down of the scent that I picked up in Ancient Forest. Overall, I am pleased with these scents and will wear them happily. They are unique to my collection and priced affordably. They wear fairly quickly, about 3-4 hours but I am alright with that. I don't really care for the final stage of the scents but it is innocuous and won't stop me from wearing them as it is very light at that point. 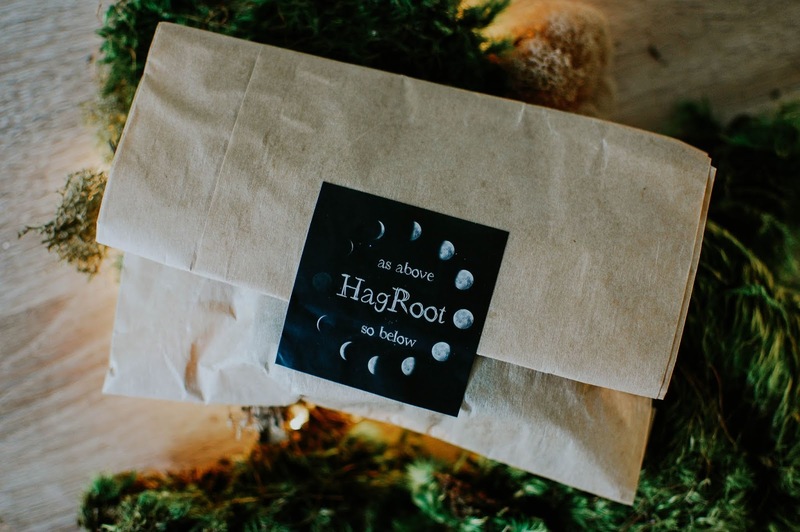 Have you ever heard of or tried HagRoot? I am really looking forward to putting out my fall decorations on Labor Day. When are you putting yours out or are they already? Fortune Cookie Soap had a 40% off sale not too long ago and I used it as an opportunity to grab some bath bombs, deodorants for my girls and wax tarts. I am not going to blog about the bath bombs (I just want to enjoy them) and the girls are already using the deodorants and liking them. I do want to show you the wax though. These clamshells are normally $4.45 each but these were about $2.70 each during the sale. PJP is the cult favorite Poly Juice Potion that Deb told me about years and years ago. I finally have it on hand! And it is great! PJP blends fresh oranges, grapefruit, strawberries, ripe melon, peaches and kiwi sprinkled with a touch of sugar. The fruits vibrate with sweet and sour flavors and swirl about like a mouth puckering mixed fruit sorbet. This reminds me of the rainbow sherbet scent but much more electric and flavorful. 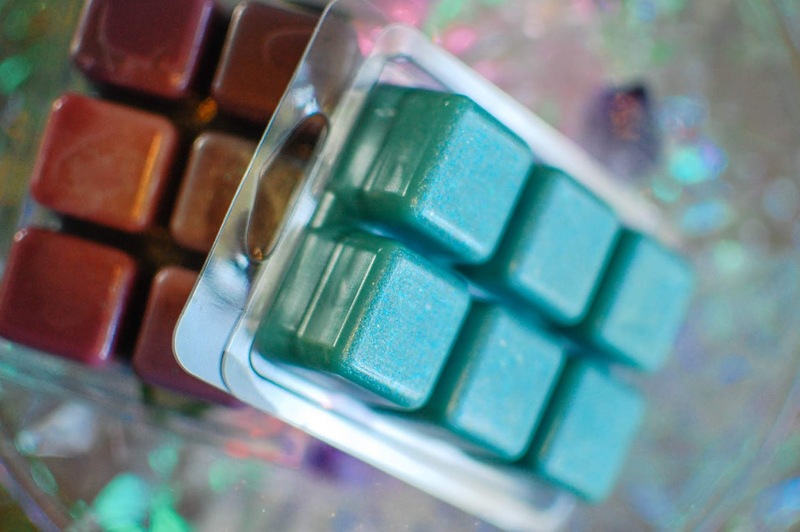 These are soy wax tarts and can crumble easily so I didn't take them out. 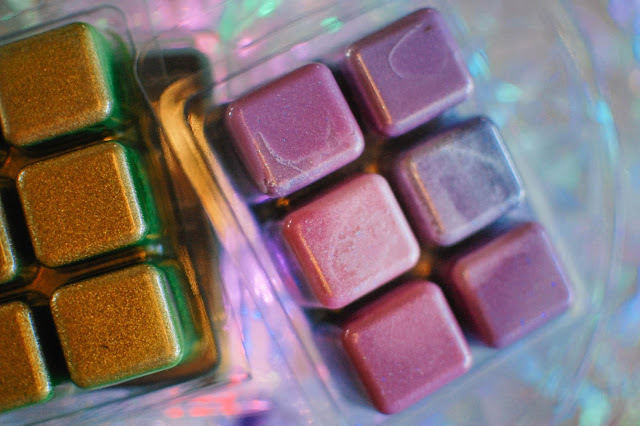 They are all beautifully colored and have copious amounts of shimmer and mica. 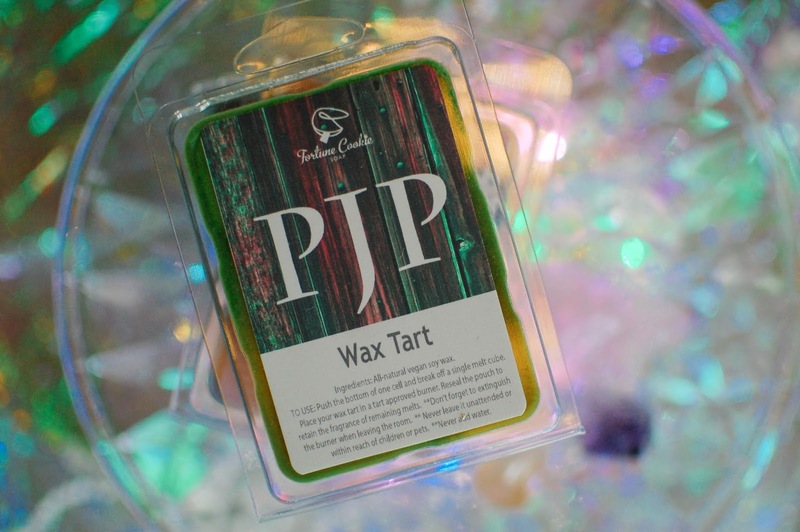 PJP features green wax with golden sparkles. 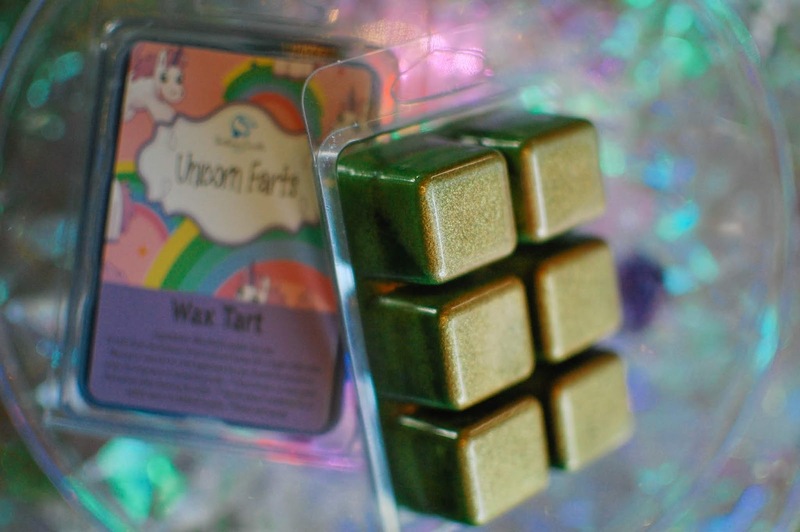 Unicorn Farts! Doh! The name. Ah well. Tis just a name. 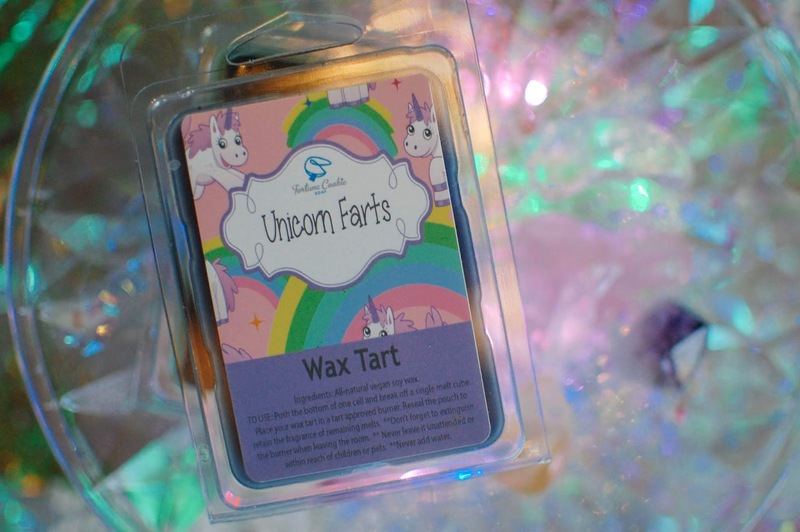 The flatulence of this magical majestic creature is a bouquet of purple chrysanthemums, cotton candy and pink pixie dust. The cotton candy has fruit sweetness and the florals are soft and floaty. It smells like a teenage princess's bedroom. Quite fun. Two cubes melted medium-strong in the large kitchen and living area. The marbled pink and purple wax with silvery aqua shimmer is lovely. 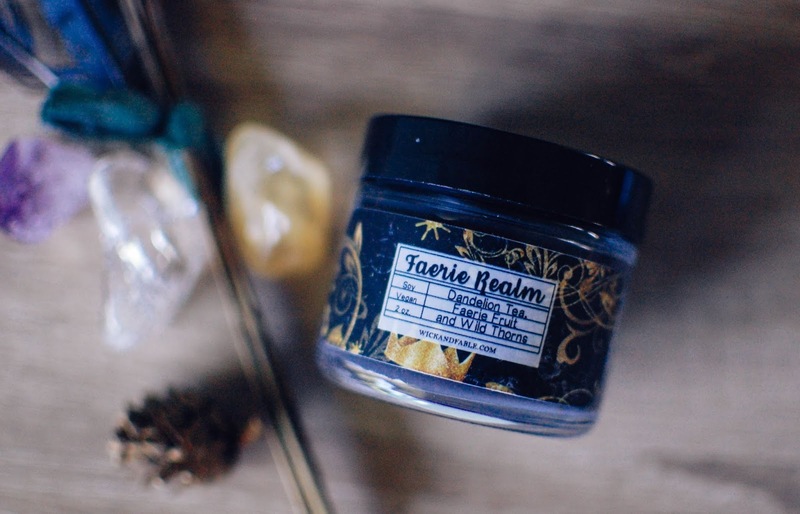 Evenstar brims with rain dappled petals, dark ivy, Rivendell cedarwood, jasmine and muguet. I have this an a hand sanitizer and I love it. 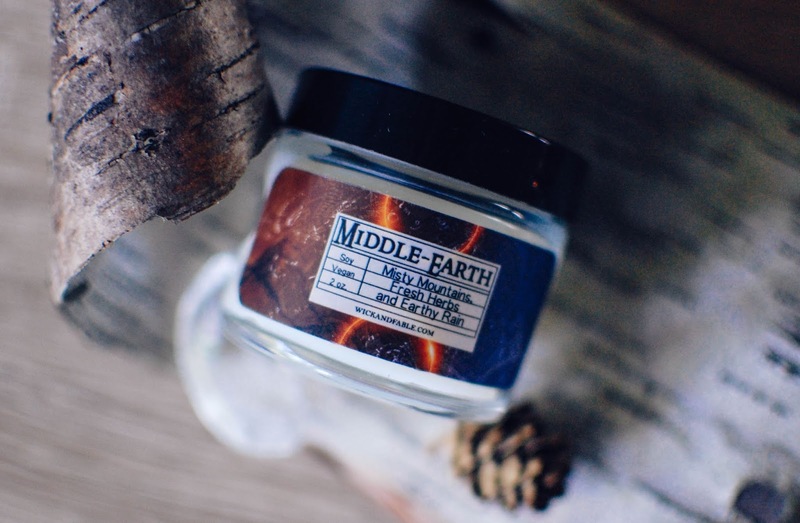 Muguet is lily of the valley and it is candied and magical in this blend. The woods are cottony soft and the greenery is ethereal. 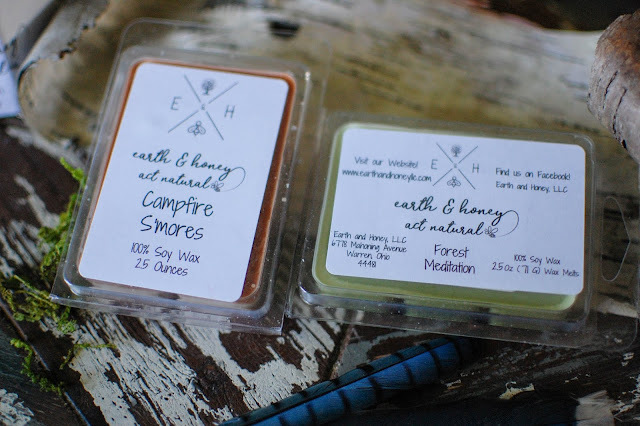 This is a wonderful bedroom aroma, two cubes threw medium on the nightstand. 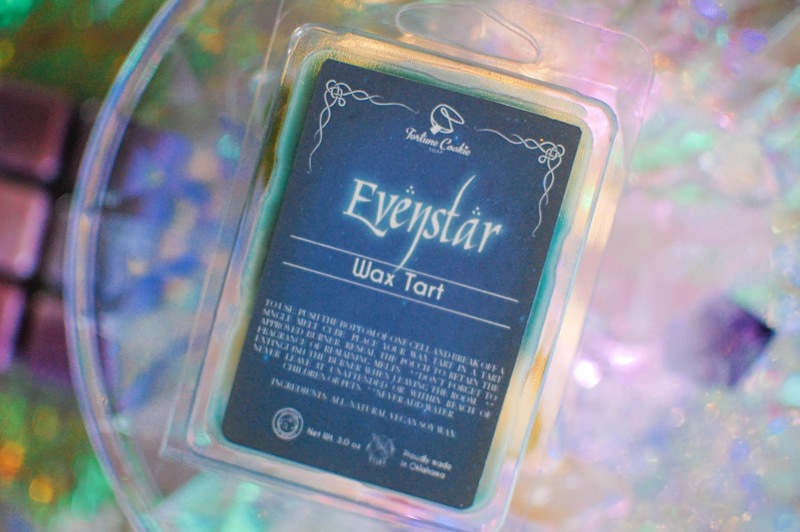 The light blue and teal wax has the prettiest aqua micro glitter. 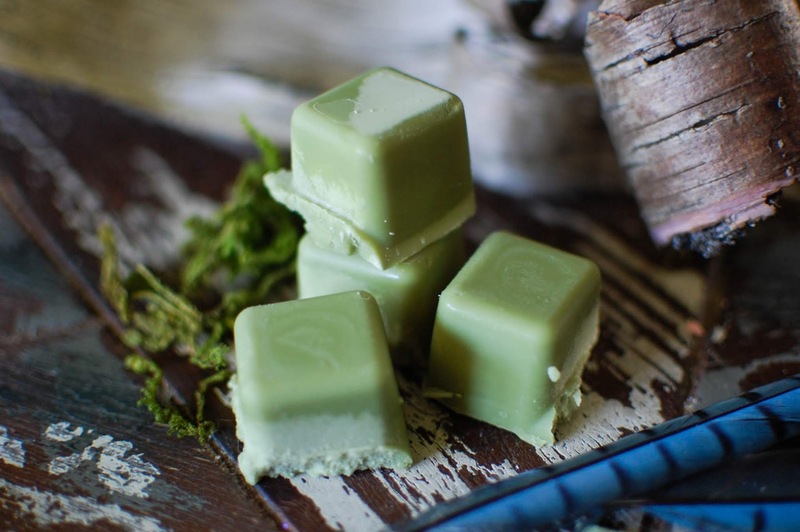 The Fortune Cookie Soap wax tarts are nice and I would repurchase them again during a sale and maybe one or two at regular price if the scent tempted me. The bath bombs, conditioner, shampoo and hand sanitizer will have me coming back often though so maybe some tarts will slip in then too. 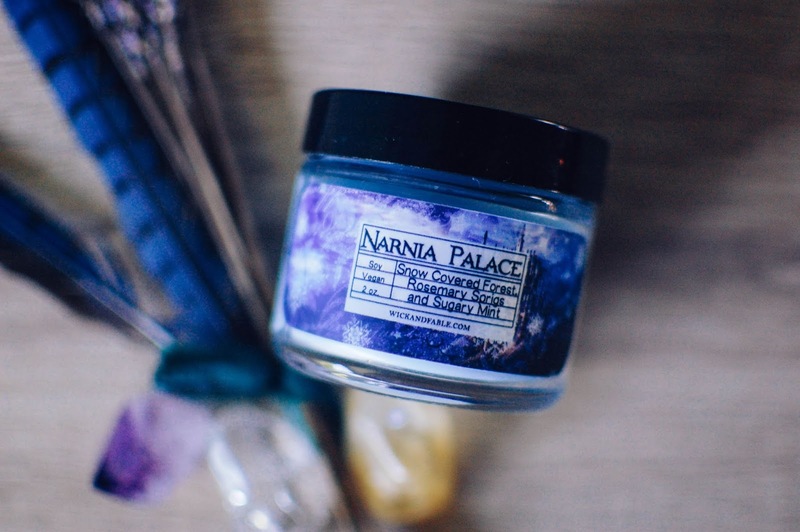 Have you tried their candles? Are they nice? I am a stalker. A grade "A" creeper. And I have been creeping on Ghoulish Delights for some time now. 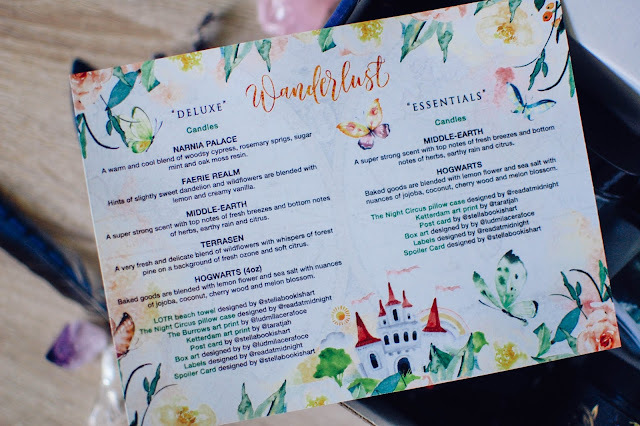 I wasn't sure where to start with the Amanda's products as they all sounded so amazing. 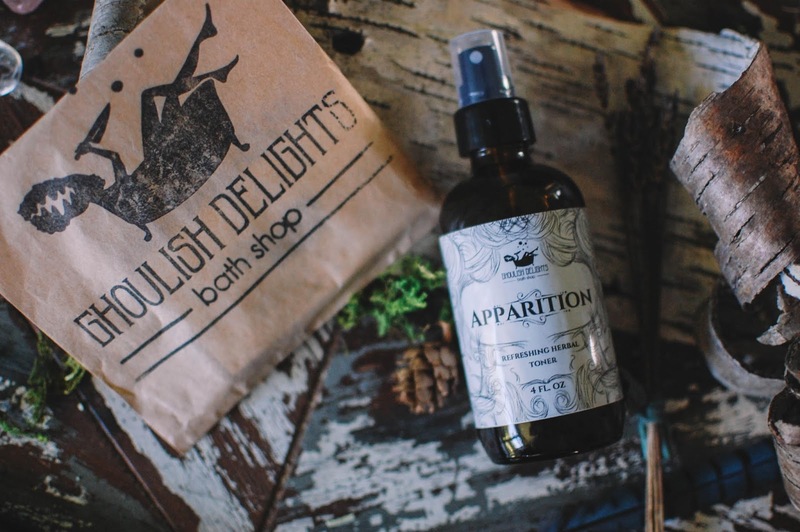 Bath and body products in creative scent blends, facial products created by a nature loving, foraging esthetician and perfumes to boot. I ended up letting my needs determine my first purchase and that ended up being toner. 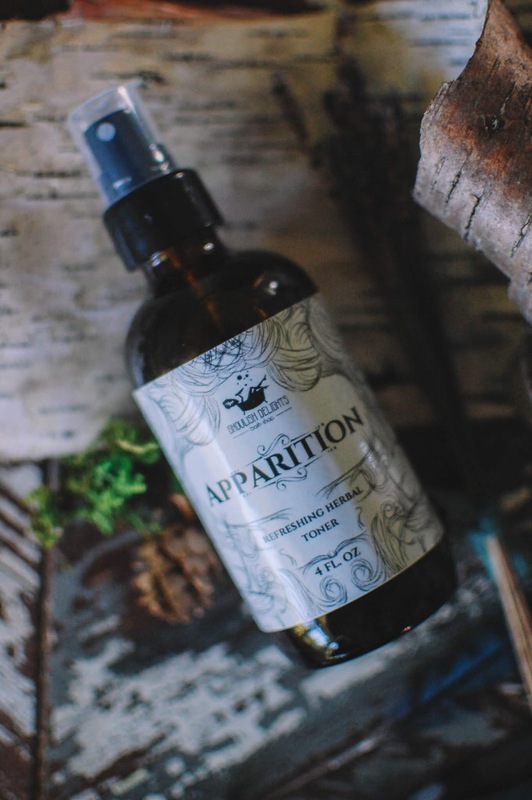 Apparition Refreshing Herbal Toner is great for use after washing the face, as an all-day refresher and as a makeup setting spray. I prefer to use this at night and throughout the day. 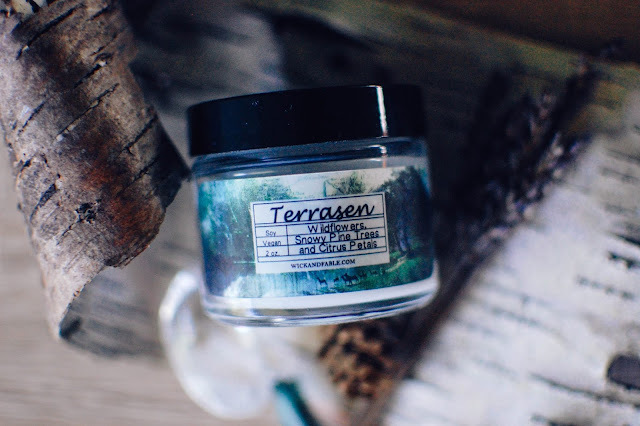 It contains spearmint, peppermint, white willow bark, sugar cane, orange and lemon peel and cranberry extract along with aloe, glycerin, maple and bilberry fruit extracts. The 4 ounce bottle was $15.00. It is vegan and cruelty free and housed in a glass bottle. It smells like creamy mint liqueur and feels amazingly tingly on the skin. I adore it and will be buying it again. 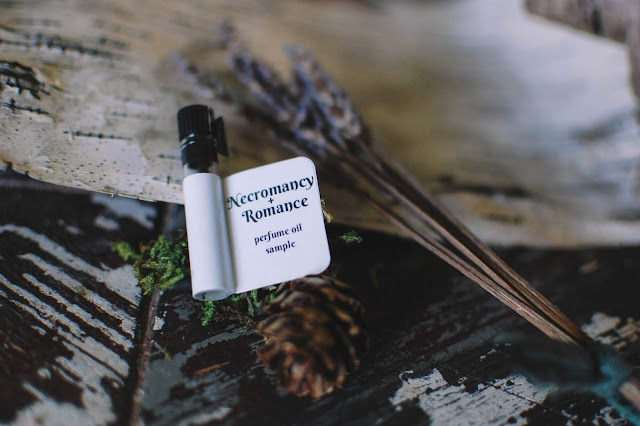 A free perfume sample in Necromancy + Romance was included in my order along with a tea bag. This scent is composed of blackberry, sage, vanilla and sweet grass. Plump drupelets of blackberries hang in heavy clusters from spindly thorny branches. They are plucked by wise fingers and soon gathered in a small mug and topped with vanilla sugar for a nocturnal treat. I am thrilled with my first Ghoulish Delights experience and look forward to sampling more of Amanda's wares. 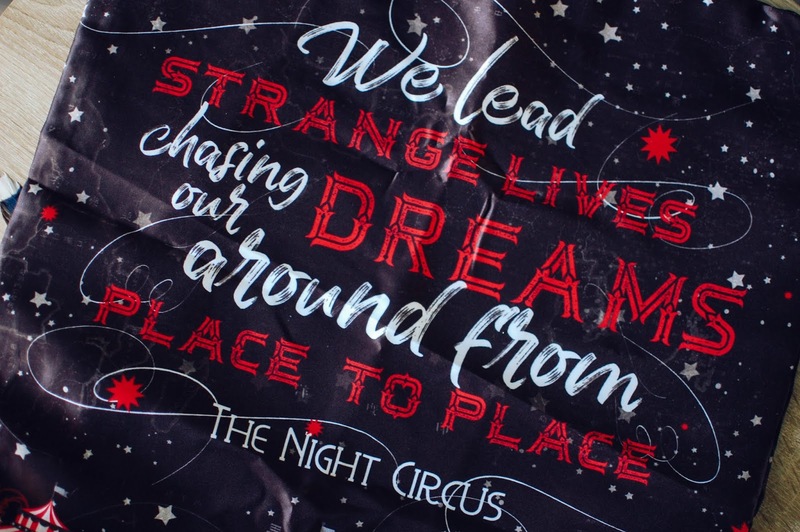 Do you have any Ghoulish Delights favorites that I simply must try? 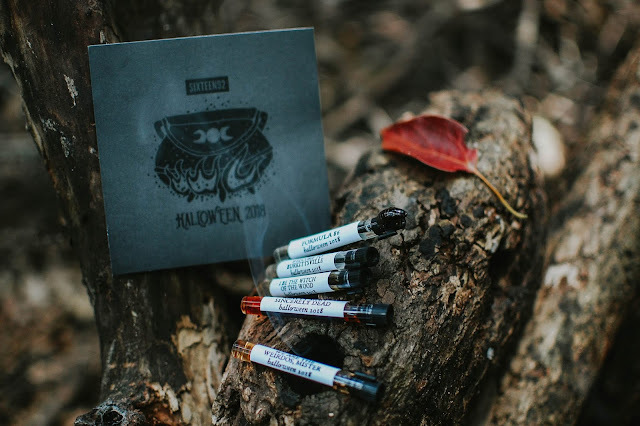 The second part of The Circle offerings that arrived from Sixteen92 feature the 2018 Halloween release. 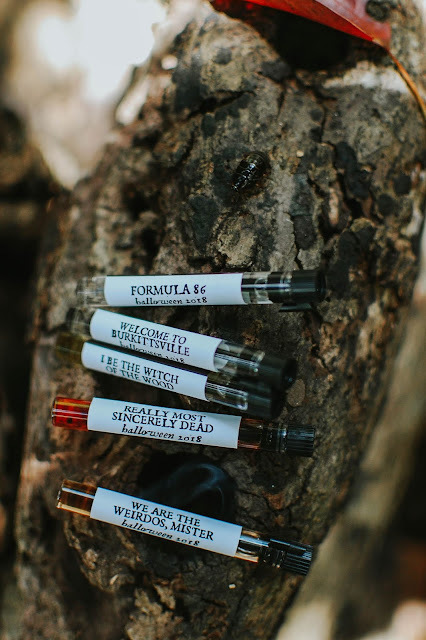 The Halloween 2018 perfumes are inspired by witches in filmography. So far there hasn't been an exact date listed for the Halloween release but the end of September is the estimated timeframe. 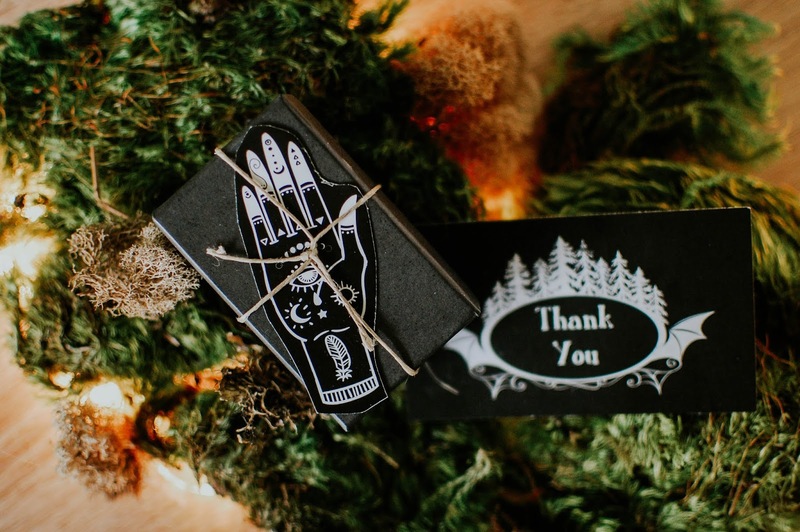 We Are The Weirdos, Mister (The Craft)- Notes: Dragon's blood resin, cleansing white sage, snuffed-out candles, spell books, metal and ash, dusty tarot cards. Fresh on the skin the dragon's blood churns up to the nose in white lacy strips of incense smoke. 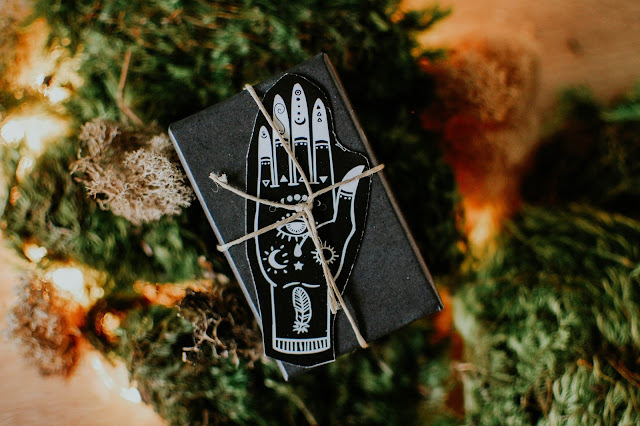 Glints of caramel scented lipgloss and twitching smudge stained fingers flit about layers of black clothing as they gather in a circle around the incense offering. Young hearts and the cracked pale leather of an old book, power in the tension between the two. I love this dragon's blood and soft leather scent. 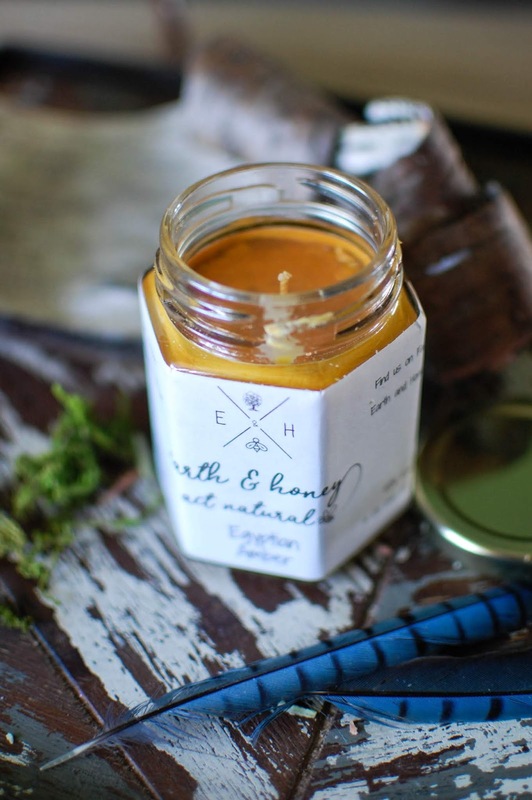 The sage smooths out the two and binds them together wonderfully. Welcome to Burkittsville (The Blair Witch Project)- Notes: Ancient stone, raven feather, forest floor, tangled roots, dark water, pitch-black musk. The first damp steps into the fragrance push up peat moss and black loamy soil. Soon a steely musk sinks into the scent like a blade, then turns to dark obsidian. Tarry night, inky shadows and strange shapes in the trees. Formula 86 (The Witches)- Notes: Rice powder, sugar cane, warm caramel, heliotrope, tonka bean, dark chocolate. 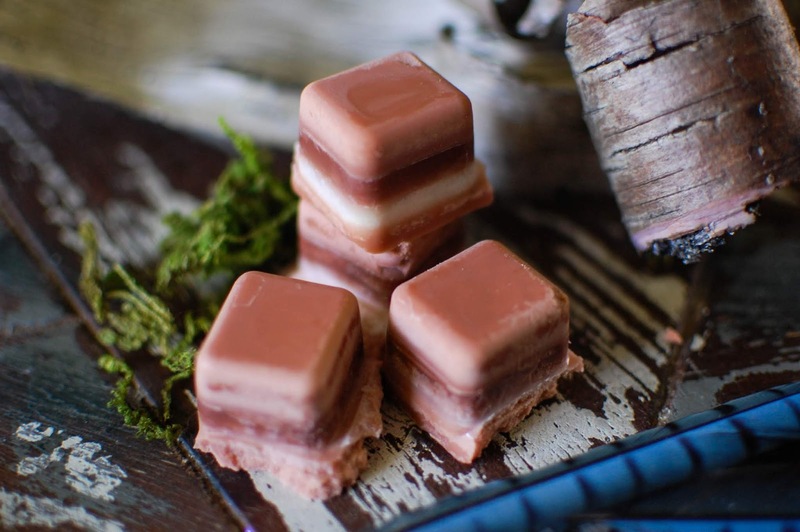 A slinky gourmand that nuzzles the skin like a chocolate warmed exhale. 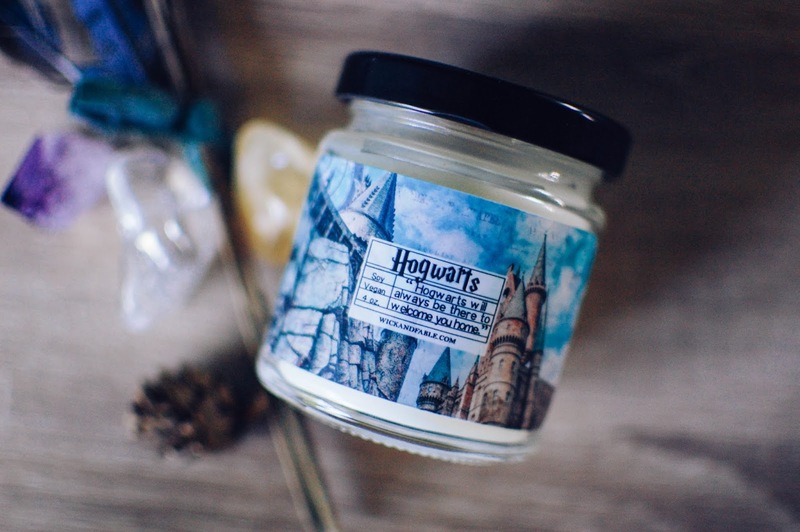 It hovers in a delicate powdery nimbus then thickens into a lush molasses and tobacco elixir. A drop of chocolate liqueur. It turns as furry and soft and warm as a sable pelted mouse. Really Most Sincerely Dead (The Wizard of Oz)- Notes: Breadseed poppy, warm coconut milk, honeyed benzoin, black licorice. Sugared mounds of almond cakes speckled with dark anise and crunchy poppy seeds sit so temptingly in a windowsill to cool. A glaze of honeyed coconut icing shines on the fluffy peaks of the gently spiced cakes. A bready richness pervades the cakes and a touch of narcotic darkness, like opium and dusky tonka, forebodes sinister intentions. Are these lures to unsuspecting innocents? I Be The Witch Of The Wood (The VVitch)- Notes: Wheat and straw, dark forest, poisoned apple, chimney smoke, fur, blood. Winter crab apples with a hint of green menthol and camphor astringency hang from dreary limbs. Straw from the black goat's bedding, musty and dank swirl about the melancholy orchard lifted by a chill breeze. Quickly the barn scent turns upon the wind and an ever so slightly sweet smoke from the hearth shifts to the senses. A ghost of vanilla flanking the woods where an earthen cottage hides. 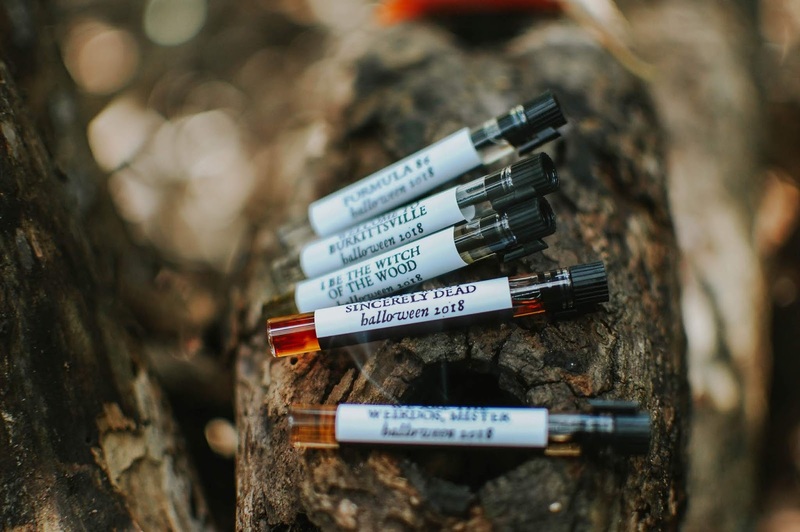 All of these scents are really well executed and make incredibly evocative scents for Halloween. Welcome to Burkittsville, I Be The Witch Of The Wood (just watched this movie last night... bad idea when all alone- freaky) and We Are The Weirdos, Mister are probably full bottles for me. I will enjoy wearing Formula 86 and may even pick it up eventually. Oz will probably find a home where decadent gourmands are more appreciated. Have you watched any of these movies? Which Halloween scent would you pick? Did the roach friend gross you out? Not a fan of roaches, but when taking photos on rotten logs, things tend to get a little wild. I think I smoked him out with the incense I was burning inside the log. That or he was just curious. My second package from the Sixteen92 Circle has arrived and this one foretells Fall 2018 offerings in the form of The Forbidden Arts. These are set to launch on August 31st along with Fall/Winter and "Falloween" bath and body collections and a general restock. Aeromancy- Notes: Powdered snow, silver birch, dried leaves, rose oxide, a blanket of morning frost. Cool icicles hang from crystallized branches. Subtle mint and wintergreen breezes blow across the snowy landscape, ice crystals on flower petals twinkle in the morning sunlight and glacial musk lifts the leaves in small gusts of wind. A cold wateriness like cucumber ripples in the heart of the scent, I think it must be ambrette. It settles into a watery vegetal, mineral like pool of water with a haze of musk floating above it like fog. Chiromancy- Notes: Orris, worn leather, ink, porcelain, black truffle. The ashy violet aroma of orris flits about in the palm of the hand, lying in the shadows of the lines and valley of the mystic cross. Inky stains fleck the finger tips and leather bound journals and books have left their perfume behind after many handlings. Chiromancy is a darkling. A black silken caress. Hydromancy- Notes: Fog, cold violet, lichen, ambroxan, mineral accord, petrichor, glass. Delicate wild violets and heather cluster their purple heads around a small upland limestone fed spring that is marked with pebbles and stones and tiny altars. This Scottish healing well burbles with chilly clear waters which act as a looking glass into the mosses and riverbed soil and creatures and plantlings below that undulate as though caught in a slow breeze. As the scent sinks into the skin and the drydown it warms up a little and smells of spongy moss and tears of rain splashing onto sun warmed stones. 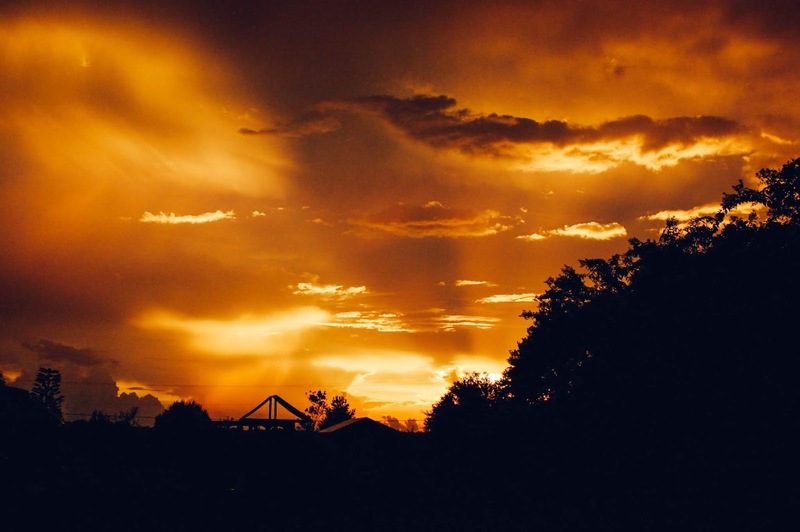 A hint of earthen amber. Necromancy- Notes: Datura metel, ceremonial incense, funeral flowers, benzoin resin, ancient spirit boards, oud. Pungent and powerfully sorrowful lilies and carnations grace the skin, their petals falling from lifeless stems tucked into an urn-like vase. Soft threads of mellow nag champa wrap loosely around rolled parchment and weave in and out of the circle, seeking out the smoldering guaiacwood and palo santo incense. 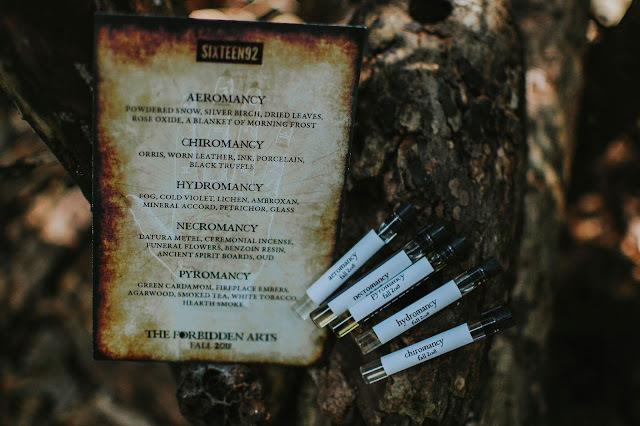 Necromancy possesses strong notes that are experienced through a veil of shadowy musk that mutes and blurs the starkness of their individual tones so that it smells billowy and ethereal and a touch melancholy. 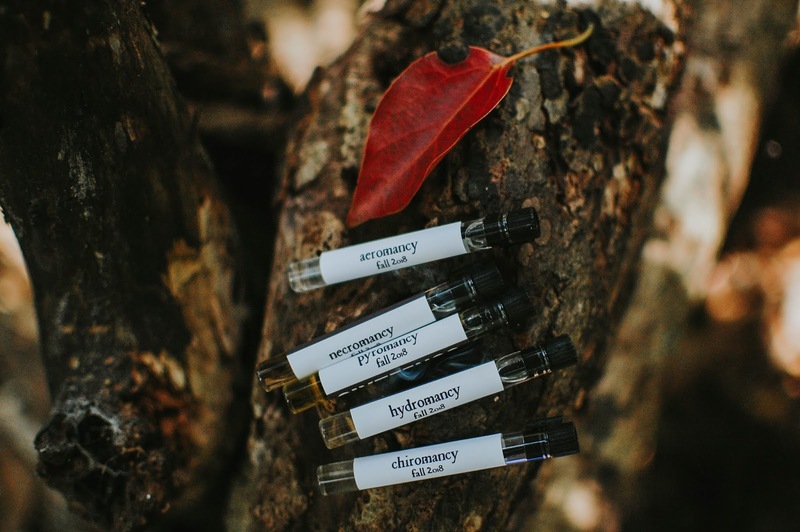 Pyromancy- Notes: Green cardamom, fireplace embers, agarwood, smoked tea, white tobacco, hearth smoke. 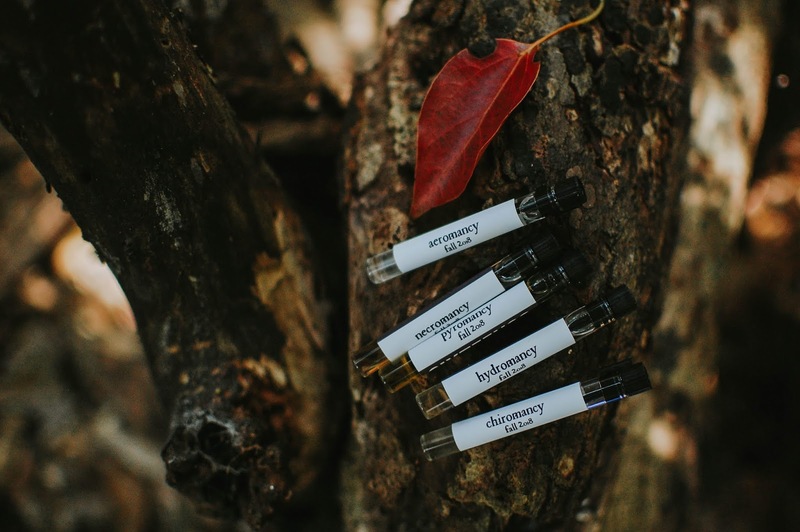 Gently spiced tobacco simmers on the skin, pinches of peppery cardamom and fiery cinnamon, or cassia, lace the golden leaves. Honeyed tea and fireside smoke blend effortlessly with the warm tobacco and cozy spices. A faint whiff of ash lingers in the base. I want to bath in this perfume. It is going to be purchased in a full bottle and worn with abandon this autumn and winter. This one keeps the home fires burning. These are all incredibly haunting scents. Pyromancy and Chiromancy will be on my full bottle wishlist but all these samples will be worn with joy. Be on the look out tomorrow for a preview of the Sixteen92 2018 Halloween perfumes. 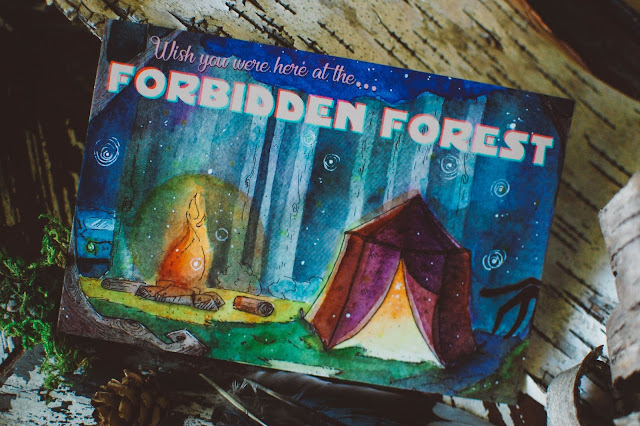 Which of these Forbidden Arts appeals most to you? Are you excited about all the fall and Halloween releases coming up? 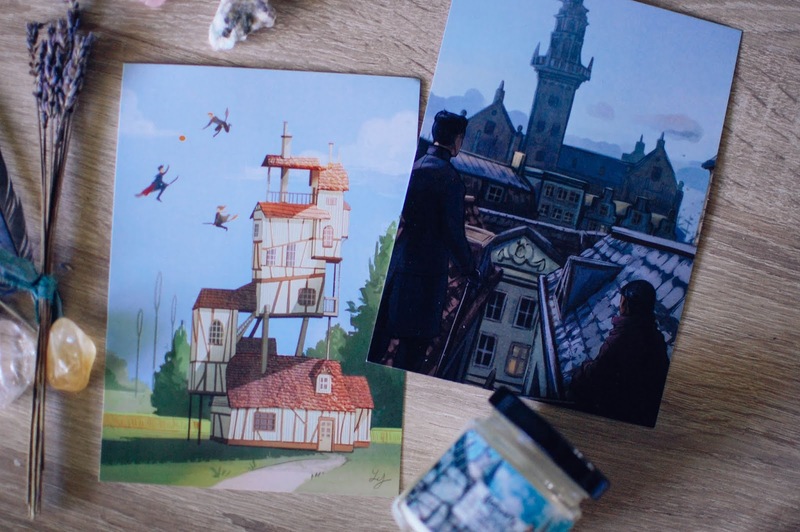 Riddle's Tea Shoppe first became known to me via Jay at The Scented Library. She posted a couple times about the Deatheaters Tea Club quarterly boxes and I kept meaning to try them out. I finally got my stuff together and placed an order for the summer box. 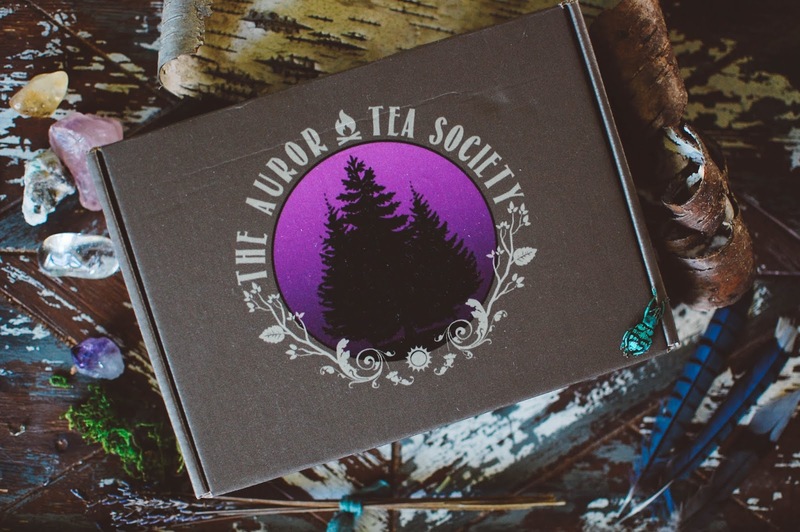 That is when I realized that Riddle's Tea Shoppe also had an Auror Tea Society box. I sprang for the Auror one while Jay snagged the Deatheater one. 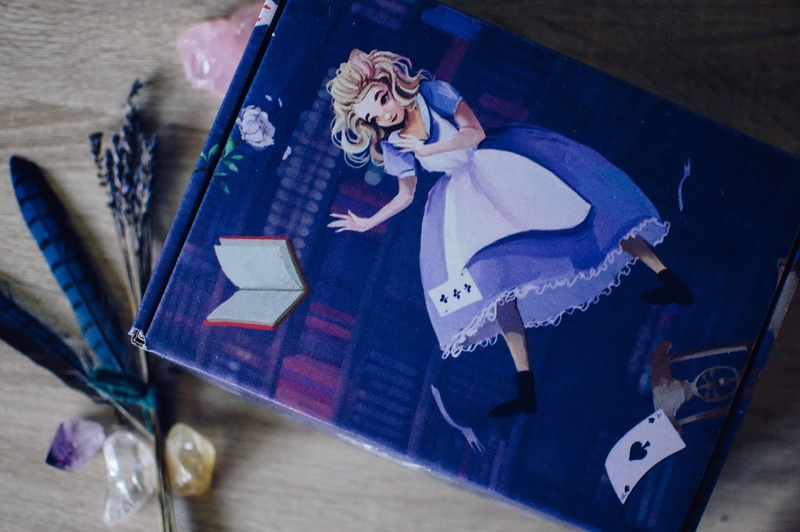 Check out what came in my box down below if you are curious about how the wizard cops take their tea and pop over to Jay's blog today to see what the wild evil baddies enjoy in their afternoon cuppa. Apparently the baddies have a yacht club too. Jay's blog can be found here. Check out this amazing shot of her Deatheaters Tea Club box that she took. These boxes release quarterly like I mentioned above. They are a one time pre-order purchase, but I did notice the Etsy store mentioned that changes are coming in August. Not sure what that will be about. The box was $37 plus $7 shipping. 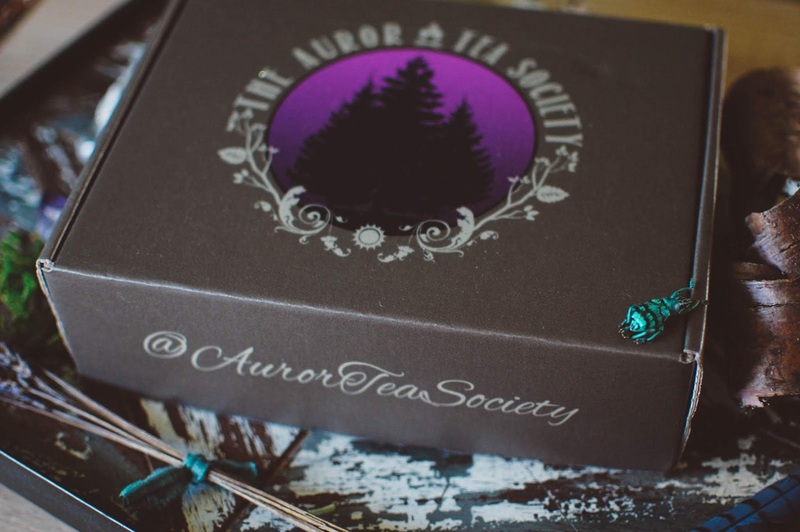 The box was said to include two novelty tea items, one large tea pouch, one enamel pin and four additional surprise items. I quite appreciate the level of detail that went into the making of this box. 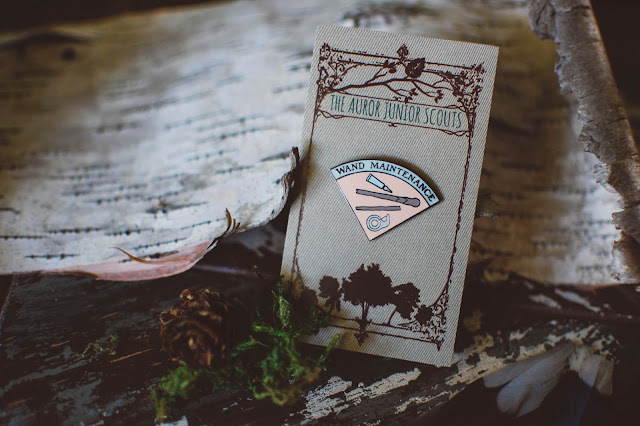 All items were themed as if you were camping in a forbidden forest with your closest auror buddies. There were two cards, one to set the stage and another that listed the items, buried in the bottom of the box was a sticker that read "Magical Observer" and each item appeared just right to set the mood. It is obvious that this was curated by a true Potterhead. All the items in the box were hits for me. A stylish cork trimmed tote emerged from the bottom of the box. I will be using it to usher my planner, books, iPad and materials to and from school. A colorful postcard with impressive art (I keep looking at the Forbidden Forest lettering thinking I should put on some 3-D glasses to get a full effect) which will soon be hanging on my desk cork-board. 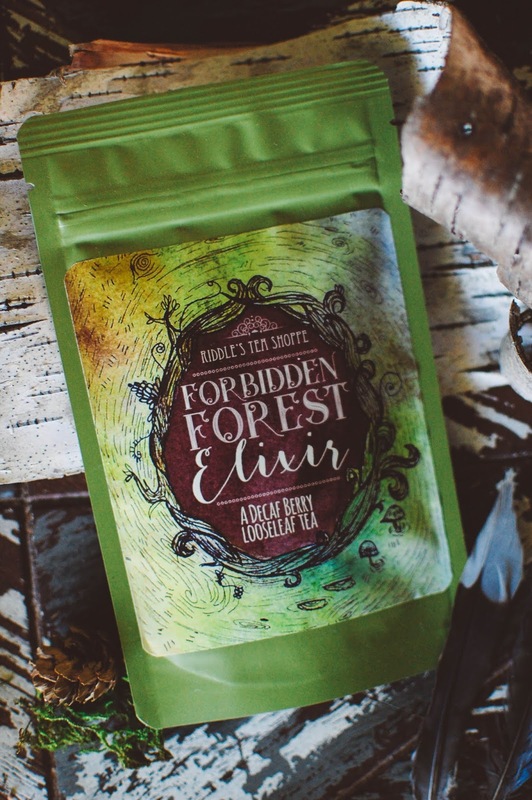 Forbidden Forest Elixir tea sprouted from the box. 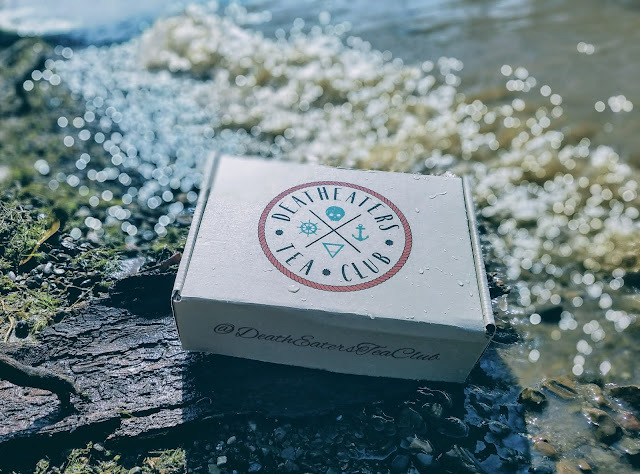 This rooibos based tea contains rose hips, hibiscus, apple pieces, vanilla, raspberries, strawberries, blueberries and forest berries and is decaffeinated which makes it perfect for evening sipping. I love two things about this bag already: the adorable artwork with mushrooms and the fact it is SEALED. Can I tell you what a pet peeve it is becoming when I order handcrafted items that come in these bags and they aren't even sealed? All they have to do it run a flat iron over it. I have had mushroom cocoa spill everywhere, bath powders dump out and all sorts of messes in my orders because these bags weren't sealed at the top. So thank you Juli and Joe. Thank you. The enamel pin is very cute. I spy some spell-o-tape, a broken sad wand and perhaps some Adhaesus' Extra Sticky Wand Glue. This will be fun to put on my classroom cork-board too. Three bewitching tins came in the box. 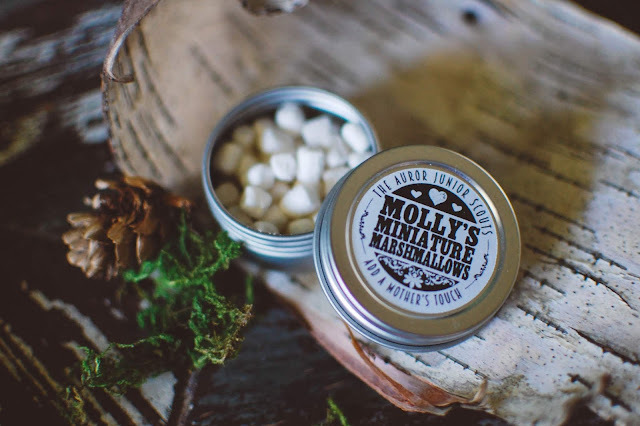 The tiniest tin features Molly's Miniature Marshmallows from The Auror Junior Scouts that add a mother's touch to any tea time. These are the tiny crunchy dehydrated marshmallows you find in instant hot cocoa pouches and can buy by the jar full in a grocery store. So once this tin is emptied I can happily restock it on my own. I love the tin. Two larger tins contain teas. 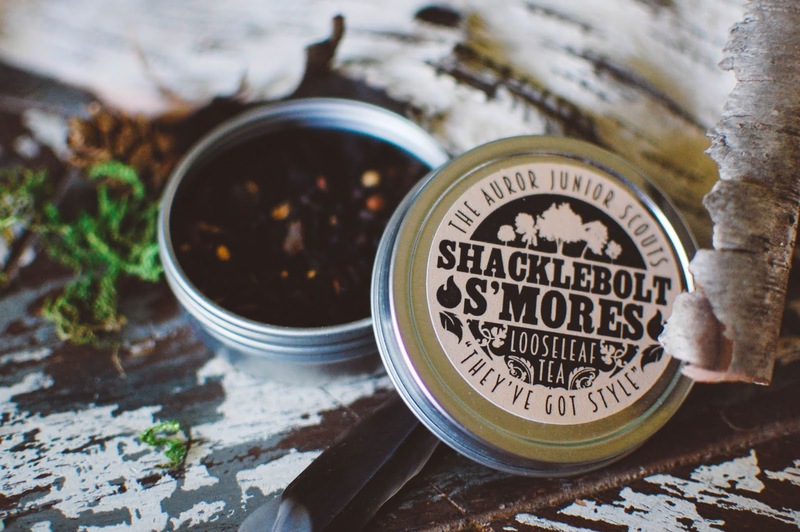 The first up is Shacklebolt S'Mores which is a black tea and oolong tea blend with added cinnamon bark, ginger root, vanilla, gingerbread, cocoa nibs, orange peels and chocolate. It tastes amazing. The black tea is smooth and flavorful. It has a touch of spice and the chocolate gives it more of a wooden tone rather than a hot cocoa vibe. There is a clarity to this tea that makes it taste as if it has been steeped in spring water. A brilliant tea for fall fireside enjoyment. A black spiced tea with a touch of dark woodsy chocolate. 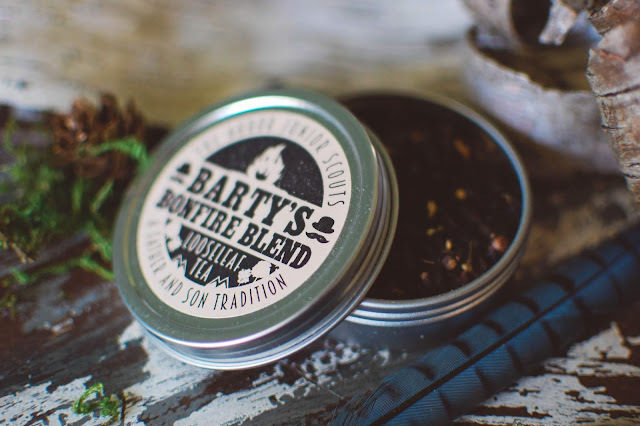 Barty's Bonfire Blend is a father and son tradition and merges black tea with lapsang souchong along with cloves, ginger root, cardamom, caramel and cinnamon bark. Lapsang souchong is a favorite tea blend of mine and this one is fabulous. This version has less pine and a softer smoke. The gentle smokiness is set off nicely by the warmth of the clove which comes in whole buds in the tea. Clove buds make me weak in the knees. 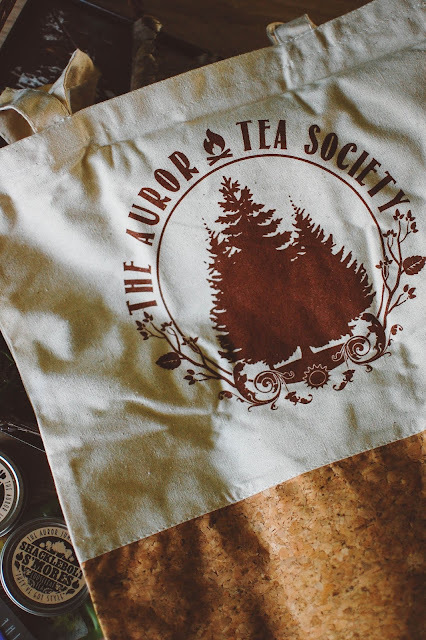 The tea has a nice overall tannic mineral quality that makes it a pleasant rustic experience. An apt bonfire blend to be sure. I am beyond thrilled with this experience and will be back for more. 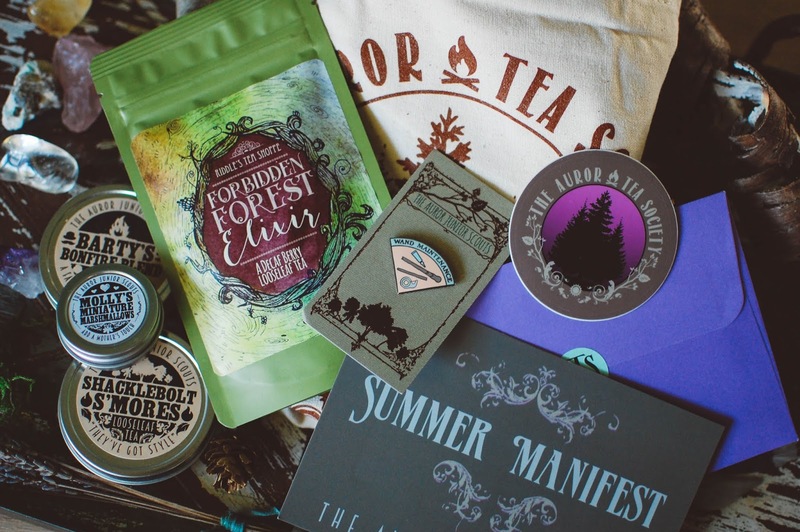 If the summer box was this good I can only imagine how fabulous the autumn box will be. I am off to read Jay's blog and probably fall in love again with the dark side. 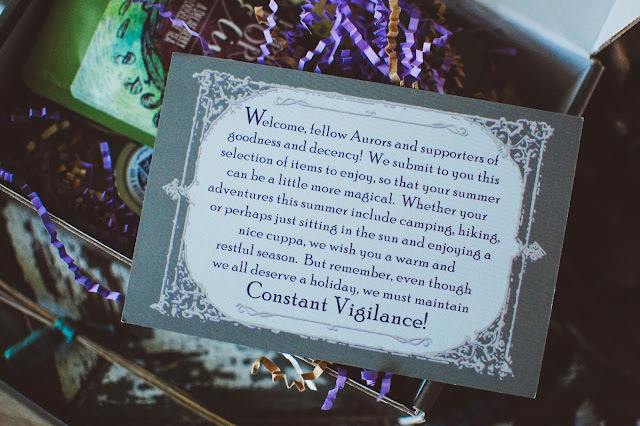 Have you had any cool Harry Potter box experiences? Please share!